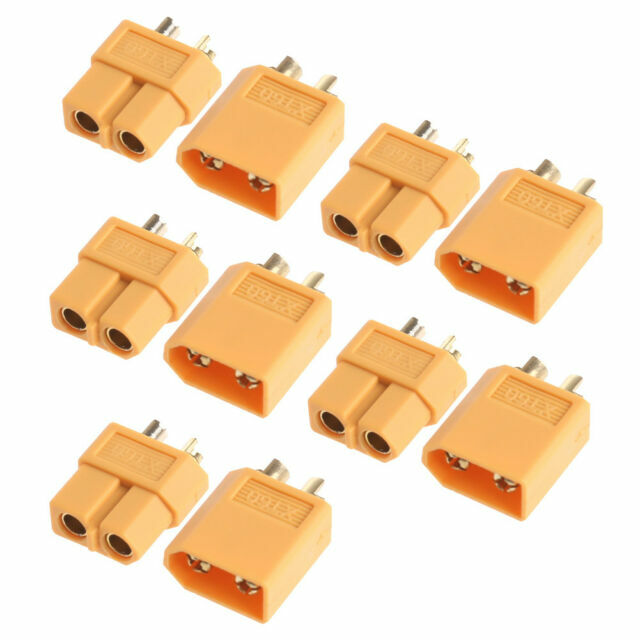 10Pcs(5pairs) x XT60 Male Female Bullet Connectors. 1 male and 1 female = 1 pair. Used in RC battery and motor. 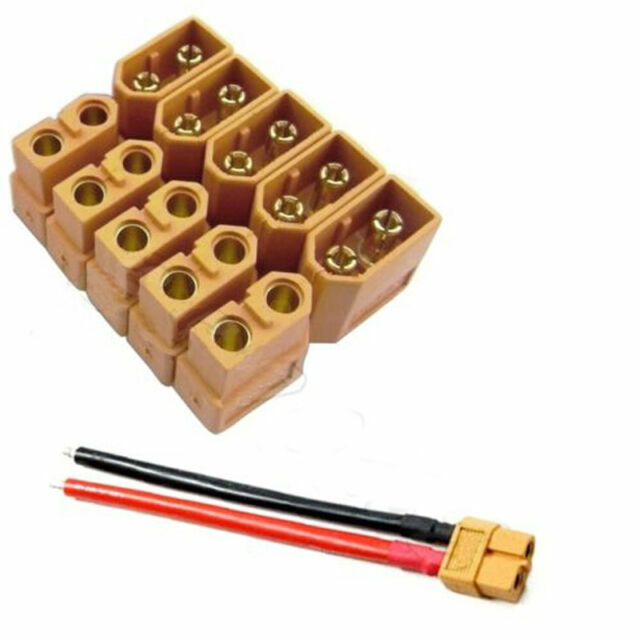 Low resistance for high current capacity. Also note that monitor settings may vary from computer to computer and may distort actual colors. Work just great, as they should.